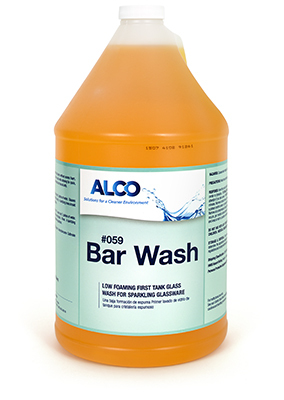 Alco Bar Wash - Alco-Chem, Inc.
A low sudsing, liquid bar glass detergent that cleans without excess foam. A clear, amber color witha fresh lemon scent. Bar Wash Removes beverage stains, lipstick, and dried soils while allowing for quick, spot-free results.